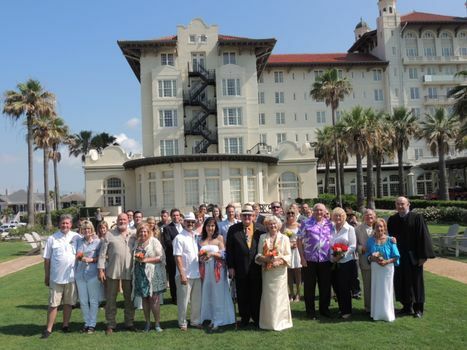 Hotel Galvez & Spa®, A Wyndham Grand® Hotel, is host to two historic events this summer: the Galveston Island Beach Revue on May 16 and 17 and the Galvez Wedding Vow Renewal on June 7. Hotel Galvez is the title sponsor of the Galveston Island Beach Revue, a two-day, family friendly event starting Friday, May 16, 2014. 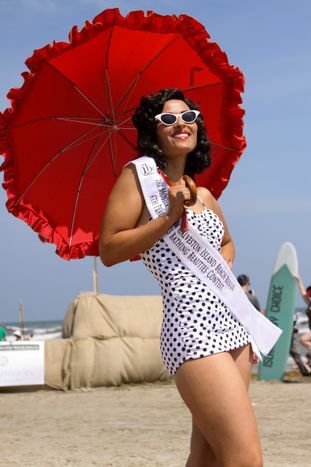 Created by Islander By Choice, LLC (IBC), the sixth annual event is a resurrection of the Pageant of Pulchritude (the predecessor to the Miss Universe Pageant) that was hosted in Galveston during the 1920s and early 1930s. Friday night events, scheduled from 6 to 10 p.m., include craft beer tastings, live music by Houston’s Brandon McDermott Band, an introduction of the 2014 bathing beauties and a free outdoor showing of the 1965 movie “Girl Happy” starring Elvis Presley. Beach Revue events will take place adjacent to the hotel at Beach Central and are free to the public. On Saturday, May 17, event festivities begin at noon and include “Retro-Active” games for the kids, a charcoal championship cook-off, craft beer tastings, vendors and an evening of live music headlined by Grand Old Grizzly from Houston. The “Bathing Beauties Contest” begins at 5 p.m., when 40 contestants compete in vintage and vintage-inspired swimwear for cash prizes. The top winner will receive a custom-made swimsuit by Fluid Sunwear. For information, visit www.galvestonbeachrevue.com. Guests at Hotel Galvez can learn a little about the hotel’s history by downloading the hotel’s free multimedia tour app for iPhone® and Android® smartphones. The free Hotel Galvez app provides a 25-minute history tour and a 20-minute ghost tour with scrollable images, numeric keypad entry and a keyword search function.